This blog is part one in a series on starting your herbal pharmacy. I will cover the important areas of consideration when starting to build your herbal pharmacy as a licensed healthcare practitioner. As a new practitioner it can be daunting to start an acupuncture practice in addition to building an herbal pharmacy. You may consider some of the following questions when thinking about the kind of pharmacy you want to have in your practice. What brand of herbs should I use and what are the differences between the companies? What is my patient population and the conditions that I will be treating most? What are patients most likely to comply with (pills, granules, raw herbs for tea)? What are my options for prescribing herbs to patients if I can’t afford to keep the stock on the shelf? How are the herbs processed and packaged? What equipment will I need starting an herbal pharmacy? One of the first things to determine are is what brand(s) of herbs you should use and the differences between companies to determine who you will use to stock your pharmacy. Doing a little research will give you peace of mind when deciding which companies are a trusted source to use for your patients. What exactly are the things you need to look for when doing your research? You want to make sure you are getting a good quality product that is free of pesticides, herbicides, fungicides, and other toxicities. Consider how the company sources the herb, tests it, processes it, and packages it for use by the consumer. What is their authentication protocol? What type of testing is essential to ensure the product is safe and of excellent quality? Quality control testing usually includes some of the following equipment: High Performance Thin layer Chromatography (HPTLC), Gas Chromatography-Mass Spectrometry (GC-MS), High Performance Liquid Chromatography (HPLC) and Microscopy. HPTLC detects contamination, incorrect parts of the plant, and correct identity. GC-MS combines the feature of gas without decomposition of the substances to analyze the form. HPLC separates ions and molecules to quantify components and gives a chemical fingerprint to each herb. Microscopy is another form of examination under the microscope to look for pattern of herbs any contamination. Another thing that you want to make sure of is that the company complies with Good Manufacturing Practices (GMP). Chinese medicine manufacturers in mainland China are all under China’s pharmaceutical GMP to ensure that products are produced and controlled according to CFDA. Manufacturers in the US need to be in compliance with current GMP (cGMP) under the FDA requirement. If you want to know detailed information about a specific herb or formula manufactured by the company, ask for a Certificate of Analysis (COA). Last year, I had the amazing opportunity to travel to China with TCMzone and do an advanced herbal training at the Longhua hospital in Shanghai, China. 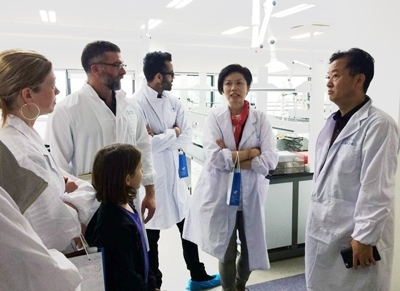 During that trip, I also visited their manufacturer, Tianjiang Pharmaceutical Co., Ltd (I was pictured in the photo here, first on the left, when we visited Tianjiang QC lab). I felt comforted in knowing how they sourced their herbs, examined, tested, processed and packaged their herbs. Getting an education and tour of the facility was an amazing experience to me. I was so impressed with their state of the art technology and felt comforted knowing that I was supplying my patients with one of the best quality products Chinese Medicine has to offer. Tianjiang Pharmaceutical is known to be the world’s largest manufacturer of premium Chinese granule herbs. It is the main supplier for the doctors and hospitals throughout China. Because Tianjiang is TCMzone’s herbal manufacturer, they carry pharmaceutical grade herbs. The herbs are harvested by good agricultural practices (GAP) by growers in areas where they traditionally grow in China and undergo quality assurance methods such as HPLC and GC-MS to certify safety and efficacy of the finished product. They assess the appearance, moisture, solubility, microbiological, fungal, bacterial and heavy metals of the herbal specimen. TCMzone also complies with cGMP standards and provides a COA for each batch of product they carry. 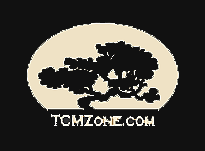 I have been using TCMzone herbs for over 7 years now, and I find TCMzone’s pharmaceutical grade herbs are a trusted source to use in my herbal dispensary.